Launch Skype on your Android phone or tablet. Tap on search icon at the top of the application. Type your contacts Skype ID or email address to the website. You will see that contact on the list. Tap and hold onto contact until a small menu popups on the screen. Finally tap on “Add on Skype” button. That’s all you need to do for add someone on Skype. 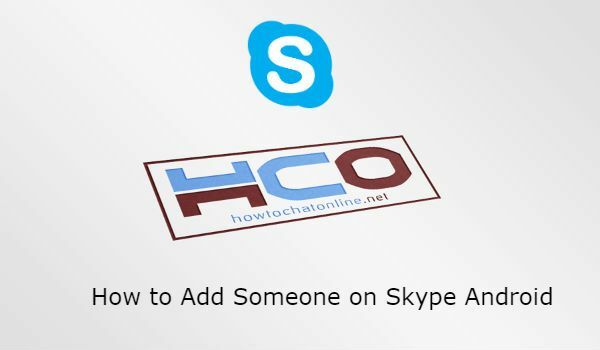 There are also alternative things to do… You can check alternative ways to add someone on Skype below. Run Skype app on your Android phone. Add your contacts ID or email address and search it on the skype. Tap on the result which is related with your contact. Send a message him and the contact will be added your list automatically. The contact will also get a request from you after you send a message him. If he approves your friendship, you can begin to talk him/her. If you have any questions regarding adding someone on Skype, please ask us.